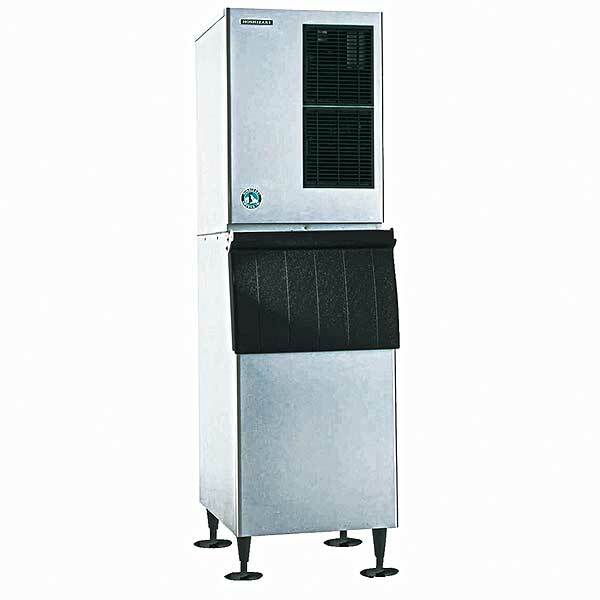 Ice maker available in water and air-cooled models, or designed for remote refrigeration (condensers sold separately for remote refrigeration models). Up to 905 lbs of ice production/24 hours. Crescent cubes. Stainless steel evaporator and exterior. Self-contained condenser. R-404A refrigerant, 208-230v/60/1-ph, 13.0 amps, NSF, UL listed. Can mount on B-500, B-700, B-800, or B-900 bins. Can also mount on larger bins.